As we get close to Easter, a time of thoughts, self reflection and celebration, we need to let you know that we are struggling. Really struggling. As hard as we have tried, our last two attempts at a big fundraiser to pay off our debts have failed. I don’t know why… but it’s crunch time. We have had so many emergency cases over the last few weeks. It all began with two of the beautiful ex mummy cats rescued from deathrow with cat flu and blood in their stools. Both females had over a week on a drip etc in emergency. Next we had an abandoned male cat who was left in a rental with both ears requiring operations due to hematomas. Next we had a kitten with balance issues and a leg injury, then another abandoned feline with dental issues (All teeth requiring removal). Last but not least is Lily the kitty with pneumonia who has been from emergency to specialists to our own vet and in an oxygen tank for one week tomorrow. The bills are huge. Actually they are enormous. But we just can’t say NO.. Every animal deserves a chance at a better life. As you can see, we are desperate tonight. 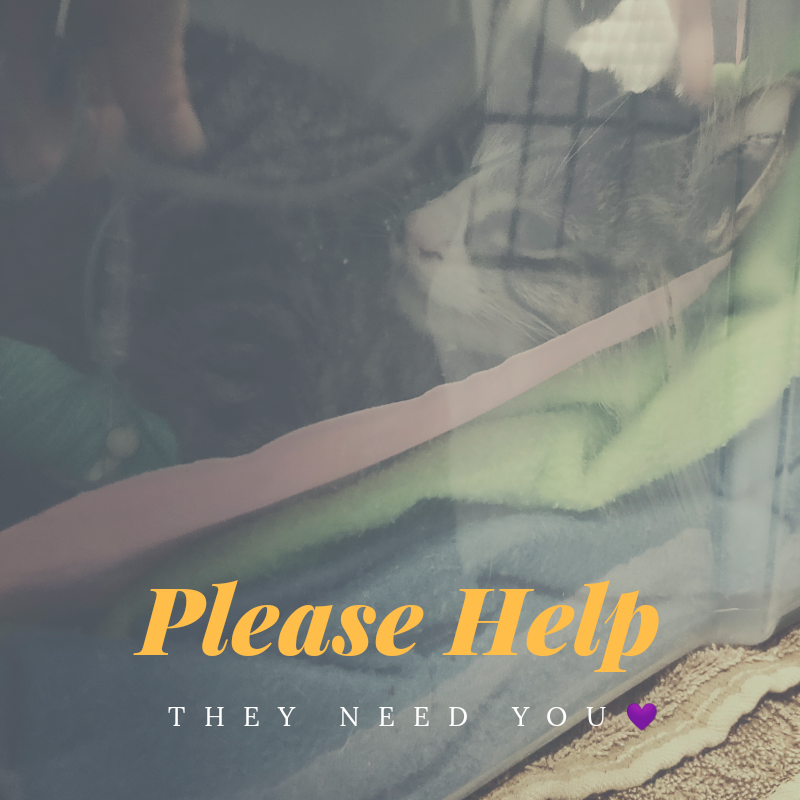 We urgently need to raise $2,000 – this will help pay one of our vet bills owing. I’m asking each and every one of you to donate just $5, the cost of an Easter Egg full of chocolate, but one that will help us save more lives like Lily. I believe I met a young blonde girl years ago at Beerwah print who used to come in and get stuff for squalicchi and sippy creak animal refuges. She would come in bursting with passion for her cause and that stuck with me! I think she was in high school in the late 90 s. Anyway it s people like her who keep these places going with their enthusiasm and good hearts... the world needs more of them! Thank you for everything that you do. I wish I could help more. Please continue helping the animals, thank you for all that you do to make their lives better.